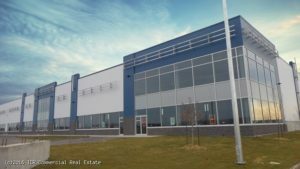 It’s been a long hard road for the Saskatoon Industrial real estate market over the last few years. We’ve seen average vacancy skyrocket from under 4 per cent to over 10 per cent and significant softening of net rental rates. The recent announcement of the ICR brokered Mitsubishi Hitachi Plant acquisition by Brandt Group injects some much need optimism into this sector. With 208,000 square feet (SF) on over 22 acres, the wind turbine factory has the potential to employ 500 people. Our first quarter survey which will be released shortly reports only a marginal increase in vacancy from 10.4 to 10.5 per cent. Year to date absorption is calculated to be -18,694 SF. When comparing our internal ICR activity to last year, we’ve seen a definite increase in the number of industrial lease offers generated just over the past month. After two years of negative GDP, RBC just released a report forecasting 2017 and 2018 provincial growth to be 1.7 per cent and 2.3 per cent respectively. Saskatoon’s industrial real estate makes up 53 per cent of the total commercial real estate market. It obviously represents a significant driver of our local and provincial economy. When there are signs of a turnaround within this specific sector, it is a signal that our overall economy could be heading for better times ahead. A review of the City of Saskatoon’s industrial land for sale shows 15 serviced parcels available in both the Marquis and South West sectors. Prices range from $480,033 to $676,511 per acre. As of March 1st, only one industrial construction permit has been issued this year. This illustrates the level of caution that still exists when it comes to spec building. A period of very limited construction growth is necessary to return to a healthy balance between supply and demand. The average asking net rental rate of $10.85/SF has remained relatively stable since last quarter reporting. Landlords have been found to negotiate tenant allowances and inducements which ultimately results in a decrease in the net effective rate. The North Commuter Bridge scheduled opening in 2018 will have a positive impact on the Marquis Industrial area. With the energy sector’s expected 2017 recovery, forecasted increase in mining capital expenditures and the quality of grain harvest predicted improvement, I forecast a stabilization of both rental and vacancy industrial rates in 2017.